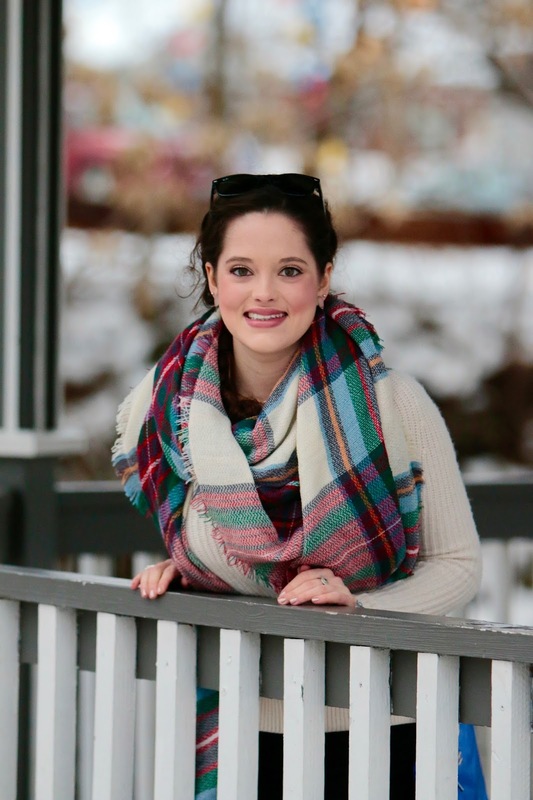 How amazing is this blanket scarf? I've seen identical styles EVERYWHERE this season. Seriously, This plaid pattern is THE trend of the moment. I love the colors and how they effortlessly pop against a neutral background - depending on your mood you can easily play up any of the bold hues. For Valentine's Day I decided to highlight the red by wearing red heels. A cream sweater is one of the most versatile pieces you can own. I treat it as a blank canvas and just layer colorful pieces around it. It's SO easy to put together a fashion-forward look when you center it around a classic item like this. These are my power heels. I get loads of compliments whenever I wear them and as soon as I slip them on they make me feel super stylish and chic! This footwear may seem like a bold choice for such a casual outfit but that's what makes them fun. I'm all about those unexpected elements - THAT'S what makes a look original. I have a wide array of sunglasses. There's the pair I turn to when I'm feeling chic and fabulous, a pair I wear when I'm in a boho mood, and even a retro pair that transports me to a different era. But my Ray-Bans are classic. I know I can turn to these babies for any occasion - there's just something so effortlessly cool about a sleek pair of Rays. 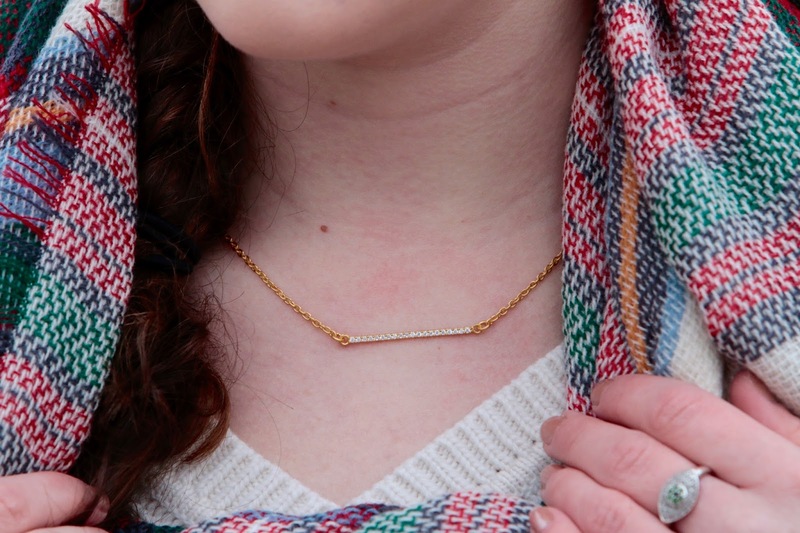 A gold bar necklace is the perfect understated accessory. 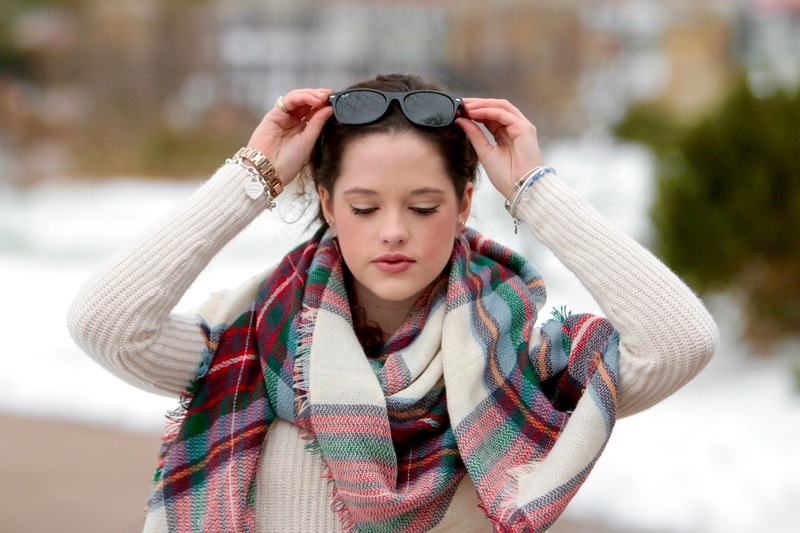 It's also perfect for layering! I went with gold eyeshadow and a bare lip for this look. The gold adds a warmth to my face and my lipstick is subtle yet impactful. I didn't want to be too dramatic with my makeup because this look needs to work during the day as well as during the evening. 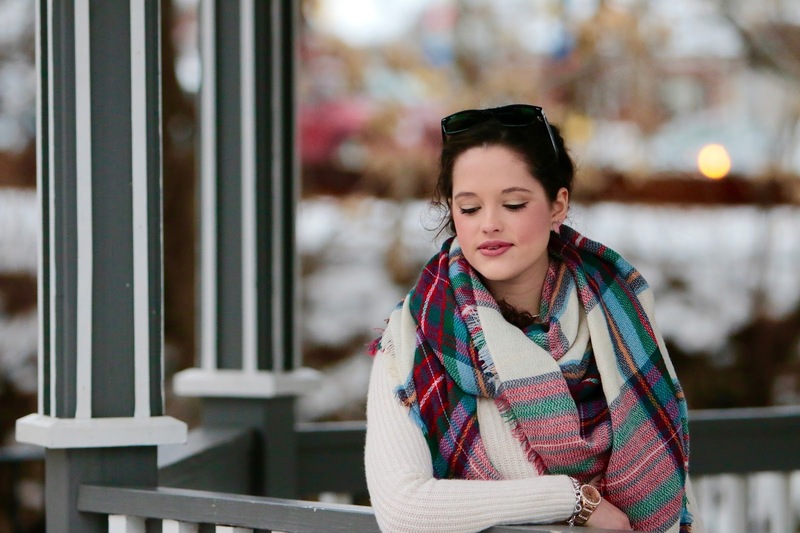 Since this scarf is so colorful and fun, I couldn't resist bringing out some more of its beautiful hues. A cobalt purse is such an easy way to pack a powerful punch of color. Tying scarves is not my forte. In fact, I really struggled trying to figure out a way to make this scarf look good. I ended up Googling "how to tie a blanket scarf" but gave up on that as well (I guess following directions isn't my forte either). So I turned to my fool-proof strategy - just doing the old fashioned loop around. It works like a charm every time. But the cool way to do it is to leave one side longer than the other of course! These earrings. I'm obsessed. End of story. Beautiful scarf I need to dig mine out and wear it more often as I haven't this winter. Lovely look! 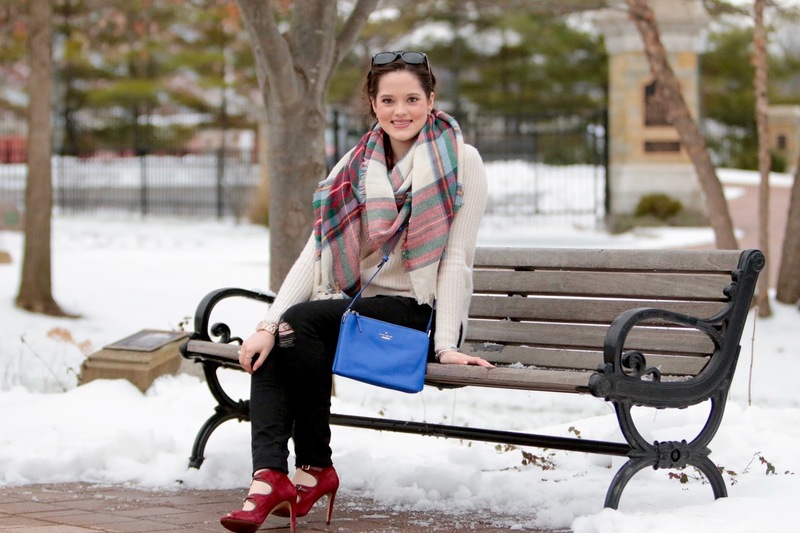 this scarf looks unreal with the blue bag and wine heels! This is a really nice outfit! I have been looking for the perfect white/cream sweater for a few months now but I can't find one :( Yours is so pretty! I love the blanket scraft! I love how cozy this outfit is! These heels are AMAZING! So pretty. 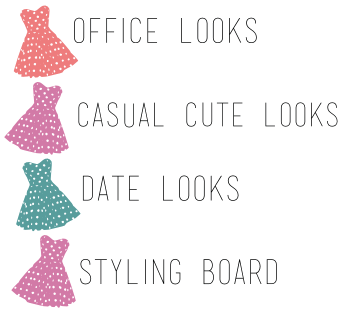 I live your look! So colorful! The clutch lokks great! I love this look! especially the scarf!! so pretty!! beautiful outfit, specially the shoes!! So cozy and stylish outfit! 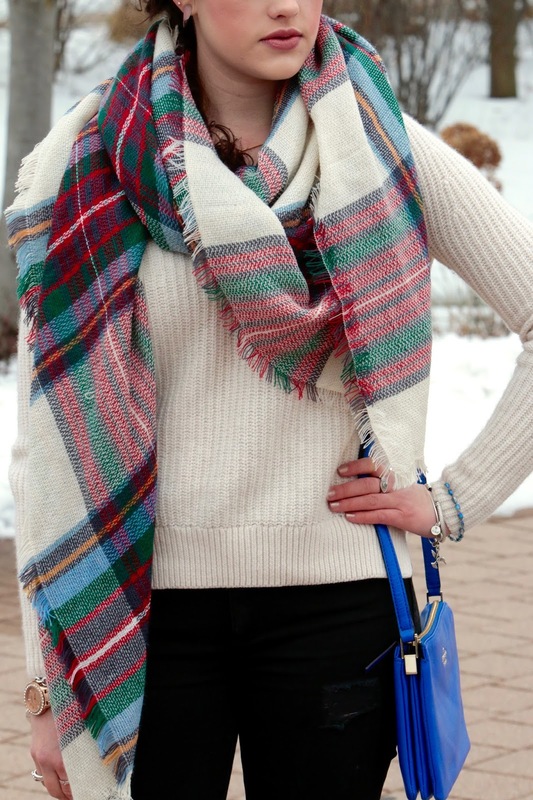 I am such a plaid scarf lover... so I am in love with this outfit! 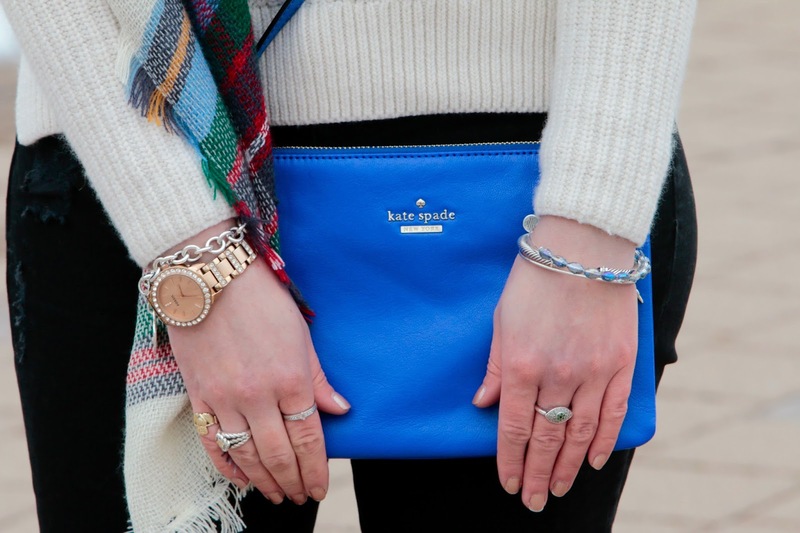 Love how you threw in the blue bag in the mix, it is surely a great statement piece! What a coinydink I noticed a women in the subway to day wearing a blanket scarf and though it looked really cool and that I wanted to get one, just as long as it does not shed on black wool! You look great and be sure to pop in to the MK store in Soho it is a real treat. Looks soo beautiful! Love your whole outfit! Such a pretty outfit! That plaid with your cream sweater and colored heels is perfect. You look fab babe, I love your accessories!!! fun photo location! 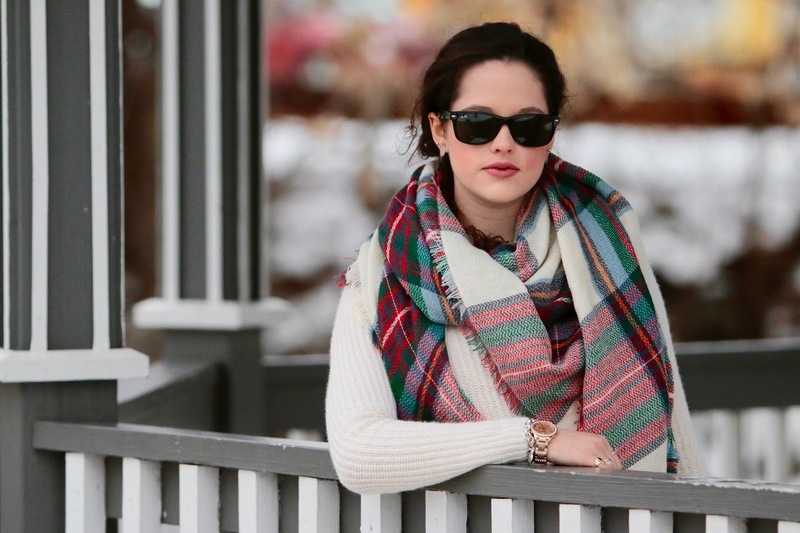 loving that plaid scarf! Beautiful mix I love each piece in this outfit. Yeah,I thought about buying similar scarf too! Nice one! Maybe I'll buy one day! ... And it's snow outside and you wear these heels, looks pretty crazy but I love it and hope it wasn't cold!